Sophos is one of the leading security vendors that offers total protection and control over known and unknown attacks, malware, spyware, unwanted programs and spam, providing a line of different products and solutions. Sophos started to produce antivirus and encryption products nearly 30 years ago. Today Sophos products help to secure the networks used by 100 million people in 150 countries and 100,000 businesses. As networks grow in complexity, Sophos is focused on keeping information security simple and reliable. 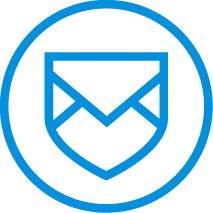 Sophos products allow to secure every endpoint of a network, from laptops to virtual desktops and servers, to web and email traffic, gateways and mobile devices that can be managed easily onsite or through the cloud. A very important part of Sophos are SophosLabs. SophosLabs are a global network of highly skilled and thoroughly trained analysts, with more than 20 years of experience protecting businesses from known and emerging threats. SophosLabs expertise covers every area of network security — including viruses, spyware, adware, intrusion, spam and malicious URLs. systems that protect a company. Sophos UTM eliminates the complexity of deploying and managing a variety of point solutions to secure a network. Using Sophos UTM centralized control through an easy-to-use web administration interface, all the security options needed can be applied easily for a complete perimeter security management system, in order to manage all the necessary security policies to control risks efficiently & effectively. Sophos Secure Wi-Fi can ensure a reliable wireless access all over a network using Sophos UTM as a wireless controller to centralize Wi-Fi management and security. Sophos access points are automatically set up and configured by the UTM, giving complete threat protection to wireless clients that connect. Sophos Wireless Security is a very easy-to-manage solution working out-of-the-box without extra appliances or complex configurations. Sophos PureMessage can enforce policy compliance and defend against spam and advanced threats on Exchange, Domino and UNIX systems. The system can scan inbound, outbound and internal email to guard against spam and the latest threats being able to eliminate 99% of spam, enabled by Live Anti-Spam real-time updates. Sophos Web Gateway makes web protection simple. It provides advanced protection from today’s sophisticated web malware with lightning performance that won’t slow users down. It provides full control and instant insights over all web activity on the network. It is available in a hardware appliance or in the Cloud. Sophos Email gateway is an all-in-one solution for email security, encryption, DLP, anti-spam and threat protection. It provides advanced protection from today’s sophisticated spear phishing attacks and gives full control over data leaving the organization via email. It is available in a hardware appliance or in the Cloud. Sophos Enduser protection can shield users with endpoint protection, data encryption, and mobile control.Wherever the users are, whatever they’re using, they’re protected. Whether systems are running on Windows, Mac or Linux, Sophos can protect against malware and advanced threats. Sophos high-performance security agent can provide an effective anti-malware for all the platforms, easy application and device control, and malicious and inappropriate website filtering with built-in web malware scanning. Sophos Central is an integrated management platform that simplifies the administration of multiple Sophos products and enables more efficient business management for Sophos partners. 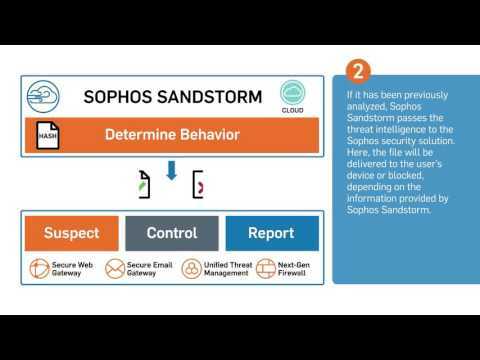 This unified platform for security management is an element of Sophos' synchronized security strategy to enable multiple security products to work together seamlessly with simpler management and better security. With Sophos Mobile Control you can secure effectively iOS, Android, Windows Phone 8 smartphones and keep the sensitive business data that's flowing safe and sound, whether referring to corporate devices or employees' devices (BYOD). Sophos Mobile Control handles all devices from the initial setup and enrollment, right through to device decommissioning. It is available as a local system or in the Cloud. SafeGuard Enterprise is a modular and full scalable information protection control solution that enforces policy-based security for desktops, laptops and removable media across mixed environments. Sophos SafeGuard Enterprise enables businesses to effectively protect their confidential information and aids in their compliance to regulatory mandates. Whether a basic Windows file server or a sophisticated Linux application server needs to be protected, a serious antivirus protection is essential without consuming valuable system resources. Sophos Sharepoint security can block the distribution of sensitive or inappropriate content via a simple, web-based management console. Last but not least, Sophos has options for enterprise network storage protection like NetApp filers. What's Protected:All computers, mobile devices, and servers on a network , Encryption for devices and file shares , Mobile devices and laptops on the go.